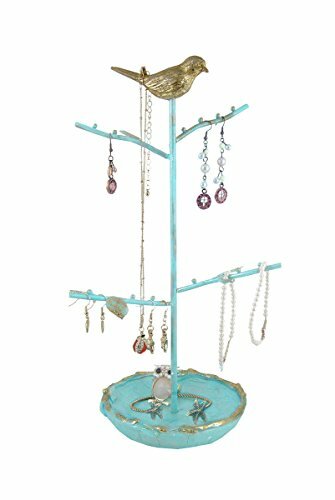 A lovely and exquisite jewelry tree holder, this astonishing piece of superior craftsmanship is sure going to blow anyone away with it authentic beauty! 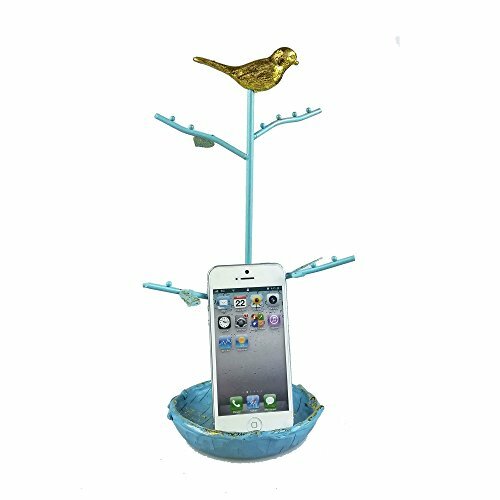 The base tray and the bird have been crafted out of fine resin and the leaves and branches are made of strong metal to ensure more durability. 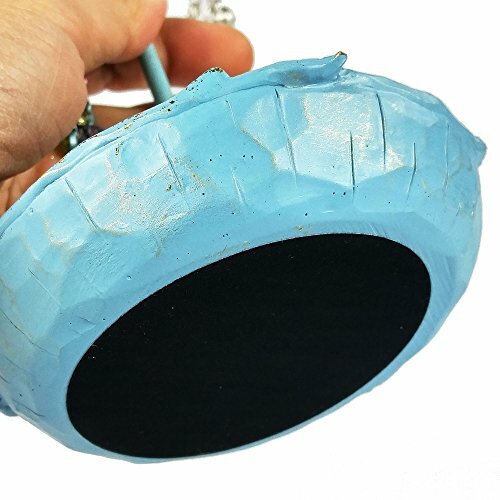 The body of the tree, its branches and the round tray are painted in a dainty pale blue. There is also a slight touch of golden paint on the margins of the branches and the tray, while the adorable little bird on top is entirely golden colored. It has got four side branches and the tray is spacious enough to store some smaller trinkets as well. 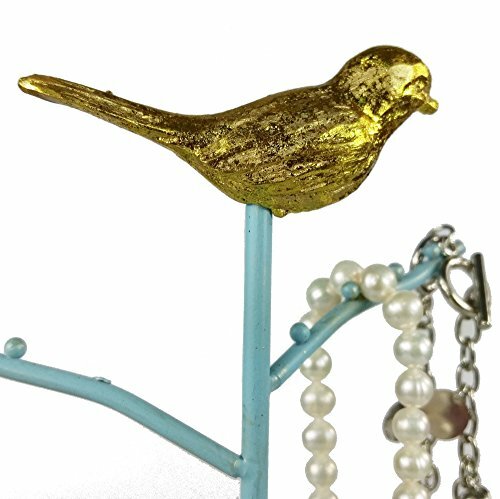 You can also hang your items of jewelry on the little birdie’s tail. 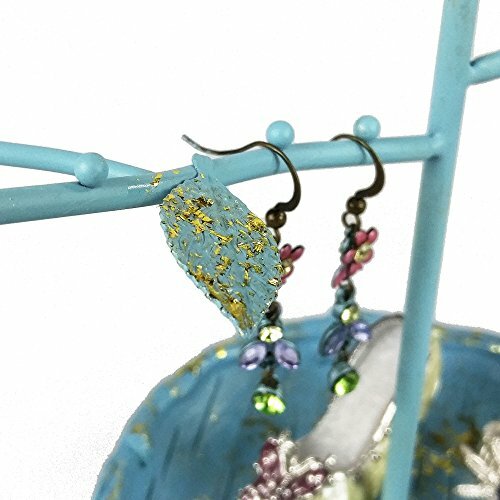 This product is perfect for the storing of earrings, bracelets, pendants and even rings! 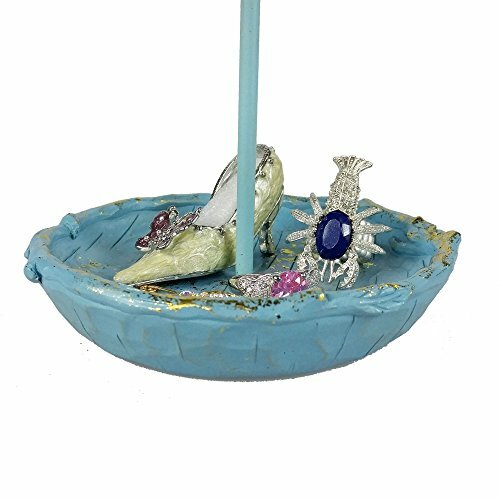 This gorgeous artsy item is a great way of embellishing your surroundings while it is also very useful in displaying your jewelry. 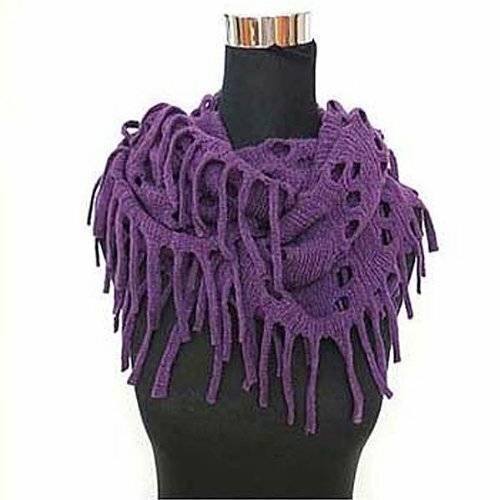 It is original, refined and it will definitely bring about much admiration at your good taste! Purchase this for yourself or offer it to a beloved friend and you will definitely not regret spending the money! 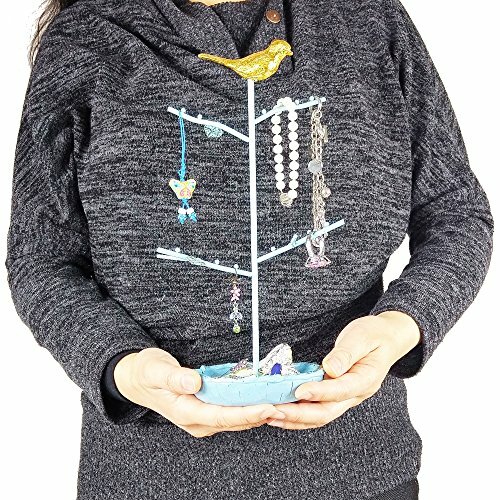 Moreover, the jewelry tree comes already packed in a gift box! The overall measurements of this product are the following: jewelry tree – 6″ L x 4.75″ W x 11.5″ H inches; jewelry bowl – 4 – 3/4 inches in diameter; 5/8″ in depth and its weight is 15.7 ounces. 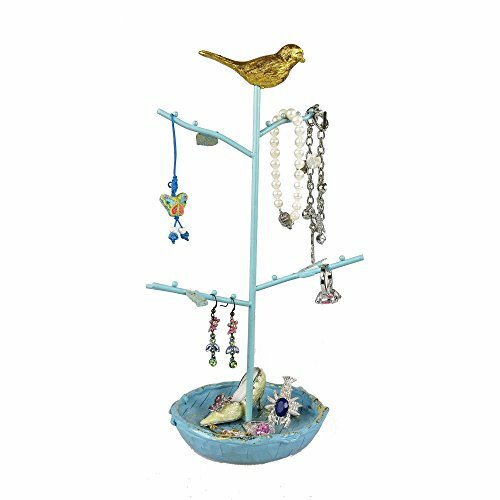 CUTE BIRD: This jewelry organizer features a gold bird perching on top of a tree. Standing bird gives an overall vintage feeling to this tree. GIFT READY BOX: Our jewelry stand comes with a nice gift -ready packaging. Receive, open and gift it to someone you love.